This is an excellent WSJ write-up on Ferrari's long-time chairman Luca di Montezomolo's departure. In his typically eloquent and unique writing style, Dan Neil adds a lot of dimensions and food for thought to the story. It's a pivotal event in Ferrari's history that the direct link to Enzo Ferrari is now broken. Di Montezomolo leaves the Ferrari business in great shape except for the F1 team. As much as I love Italian cars, I think his advice for the new Ferrari chairman should be to hire... a British F1 team principal and a German driver. TOUCH THE SKY from tim hahne on Vimeo. Alex Zanardi's story is part of the feature film ADRENALIN - out November 2014. This is a short, but very intimate portrait of Alex Zanardi, the former Formula 1 driver and winner of the American Champ Car Series. Alex was already a star, when he had his almost fatal accident at the Lausitzring in Germany. He lost his legs, but not his attitude. Alex Zanardi came back and did the impossible: He won races in the World Touring Car Championship, two gold medals at the Paralympics in London 2012 and just recently added two more hand bike world titles! A set of new tires and a pair of new underwear to go, please. 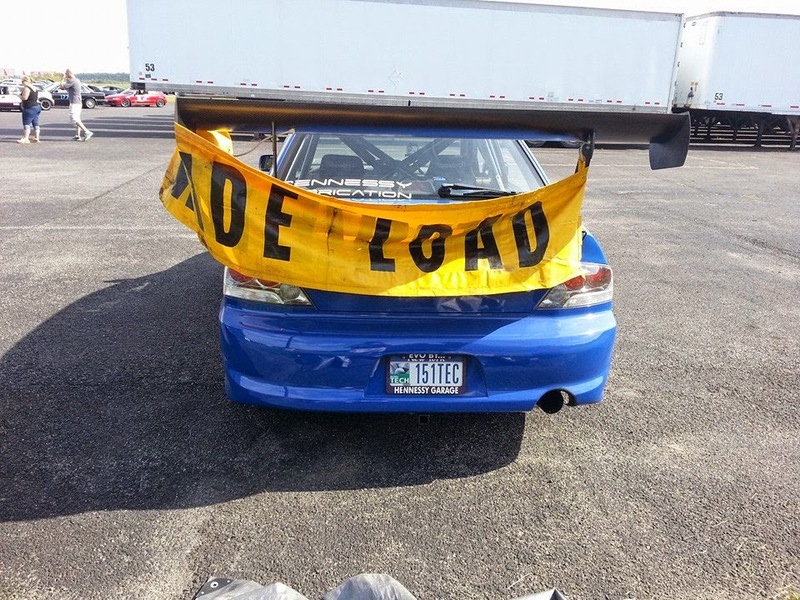 and you can read all of it, the wing might be too big. Seeing in the news today that Dr F. Nitschke, President BMW M is retiring, reminded me of the one time I saw him in person at the 2013 BMW Oktoberfest. It was at the M4 unveiling for the BMW CCA, which was set up in a plane hangar made to look like a cool night club. Dr. F. Nitschke (left) and his younger North America M brand manager got up on stage to present the then new M4. The suave North America manager was trying hard to make up for Dr. F. Nitschke's dry humor presented with a heavy dose of German accent. Dr. F. Nitschke mentioned the target they had for selling units globally, then corrected himself saying he should have said M cars, not units, in order to stir our passion. A unit is something an accountant deals with, not a passionate M car owner. But it was too late and the Ultimate Driving Unit jokes started floating around. Wouldn't you want to have the Ultimate Driving Unit too? Germans run their companies with military precision and there are well defined age expectations. A president of the M division cannot be older than 60 years, so Dr. Nitschke is put to pasture just in time for his big birthday. By the way, don't be quick to judge the new M president just because he is coming from Audi - you can be sure BMW hired the best man for the job. It's a sign of the times that the job went to a close competitor rather than a BMW faithful. Loyalty is not valued as much these days even in German companies that used to place huge emphasis on it. Oh, and the M4 unveiling event was the only time I've seen guys ask great-looking girls to get out of the way so they could take a picture... of the car, without anyone obstructing the direct view to it. BMW geeks are a special breed...Make that VERY special. I bet Dr. Nitschke was glad to see the excitement his unit generated with BMW enthusiasts that night! According to the standings reported by NBC Sports Network after the Italian Grand Prix at Monza, two F1 drivers have quietly switched citizenship. Felipe Massa, originally from Brazil, has taken Danish citizenship and Kimi Raikkonen, born and raised in Finland, has become Brazilian. It is not surprising that Kimi has chosen a country known for its elaborate carnivals and partying but we are still scratching our heads on Felipe's choice. Maybe he's loved Hans Christian Andersen's Little Mermaid fairy tale since he was a little kid?